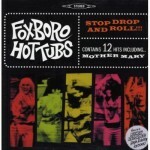 “The only difference between Green Day and Foxboro Hot Tubs is that we are the same band,” said Green Day lead singer Billie Joe Armstrong when queried about the band and their 2008 “debut” album called “Stop, Drop and Roll.” The Hot Tubs started out as an excuse for Green Day to get together, drink some wine and bash out some garage rock. Once they got going, the alter ego became an easy way to escape the celebrity that surrounds Green Day and allow the group to play tiny clubs. However, before the record was released and shortly after they started posting songs online, their cover was blown. 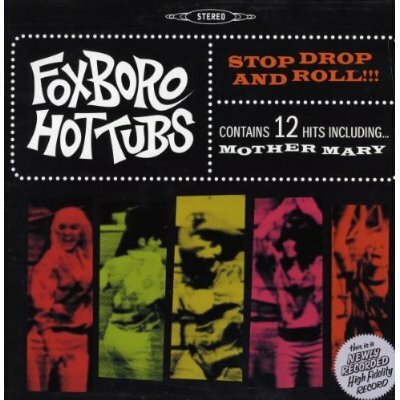 So now, Green Day perform Foxboro Hot Tub songs as a mini set during their concerts. Many of the Tubs’ songs reference the riffage of groups like the Yardbirds, the Stones, the Monkees and dozens of others ‘60s groups. This one pays homage to the Kinks’ classic “Tired Of Waiting For You.” And as for the mother band, Green Day will be releasing three separate albums (called “Uno,” “Dos” and “Tres”) over a six month period starting this September. Like manna from the heavens, the Gods of rock ‘n’ roll have bestowed upon us a brand new album from The db’s, their first in 25 years, called “Falling Off The Sky.” Writing concise jangly pop tunes with hooks that grab you and keep you coming back is not an easy feat, yet these veterans make it seem easy. 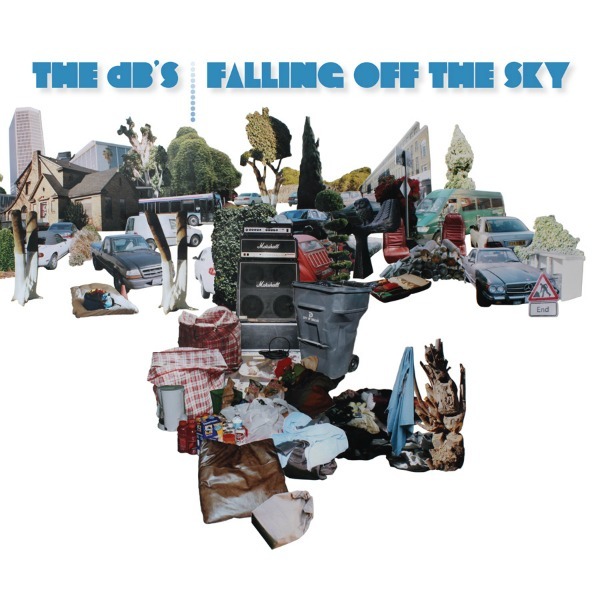 This album is no different; it is stuffed to the brim with great songs performed to power pop perfection by guys who have been doing this for a lifetime. With the exception of their last studio album, The db’s always were, and still are Peter Holsapple on guitar and keyboards, Gene Holder on bass, Chris Stamey on guitars and Will Rigby on drums, with an assist by power pop producer extraordinaire Mitch Easter on guitars. On this record, it’s like the last 25 years never happened, and that’s a good thing! Not only that, but after a few spins the hooks begin to grab you…and they don’t let go! Here’s a live version of the album’s lead track. Man, the balls on this guy. For years he’s been following his muse by foisting every type of music onto his unsuspecting public with the expectation that his audience is going to eagerly lap it up. We’ve had the faux rockabilly of The Shocking Pinks, the somewhat Republican country of “Old Ways,” half-baked concepts like “Greendale,” the inspired electro-pop of “Trans,” the “Metal Machine Music of “Arc,” the ham-bone “T-Bone” of “Re-Ac-tor,” the smooth soul of “Are You Passionate?,” the juxtaposition of excruciating kiddie choruses with left wing political views on “Living With War,” not to mention his numerous films…some good and some really dreadful. Which brings us to “Americana” and it’s concept of taking old public domain folk and children’s songs and electrifying them. As an audience we’ve been with him for every turn…and the reason for this is that even when his concepts are really misguided, they are still worth a listen and more importantly, his records are always INTERESTING! 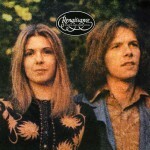 “Americana” is no different…the concept sounds really awful on paper, and the initial spins bared mixed results. But with repeated listening, Neil’s latest is one of his better records…one I keep coming back to and probably will as time goes on. I always thought the greatest Neil Young impression was National Lampoon’s spot on song parody “Old Maid (Southern California Brings Me Down)” by Tony Scheuren from the 1975 Lampoon album “Goodbye Pop,” until this one came along by Jimmy Fallon. 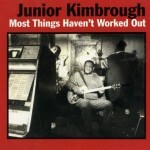 It was originally performed on his TV show “Late Night With Jimmy Fallon” and now it has surfaced on his just released second album called “Blow Your Pants Off.” The new record also features another Neil parody (with special guest the real Bruce Springsteen) doing the song “Whip My Hair,” plus duets with Paul McCartney (“Scrambled Eggs”), Justin Timberlake (“History Of Rap”), NBC News’ Brian Williams (“Slow Jam The News”) and others with Dave Matthews, Eddy Vedder and Stephen Colbert. 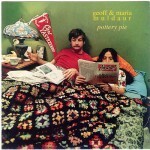 While I wouldn’t say the album is essential listening…it is a indeed a hoot! 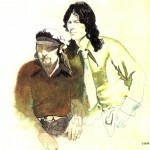 The duo of Jim Seals and Dash Crofts were one of the most successful soft rock groups of the 1970s. The duo hailed from Texas and after gigging around they both joined The Champs of “Tequila” fame as touring members of the group. Glen Campbell was also a member of the group and the three of them left and formed the group Glen Campbell and the GC’s. After the demise of the GC’s, Seals & Crofts decided to go it alone as a duo with Seals on guitar, violin and saxophone and Crofts on guitar and mandolin. It was around this time they began to follow the Baha’i Faith. After releasing several albums that didn’t go anywhere, they finally hit with the album “Summer Breeze” that properly highlighted their heavenly harmonies and songwriting chops. 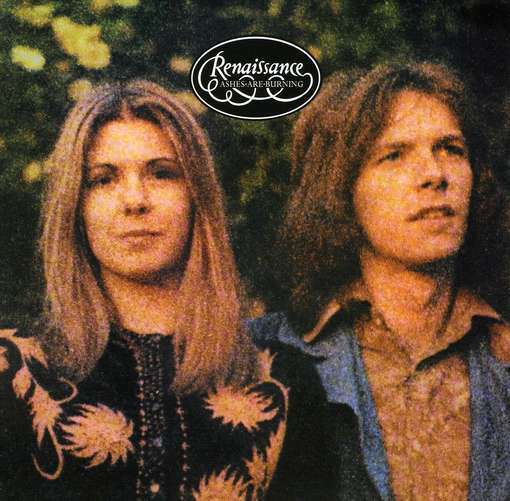 The title track became a top-ten hit, but the album also included such gems as the song “Hummingbird” and this one. 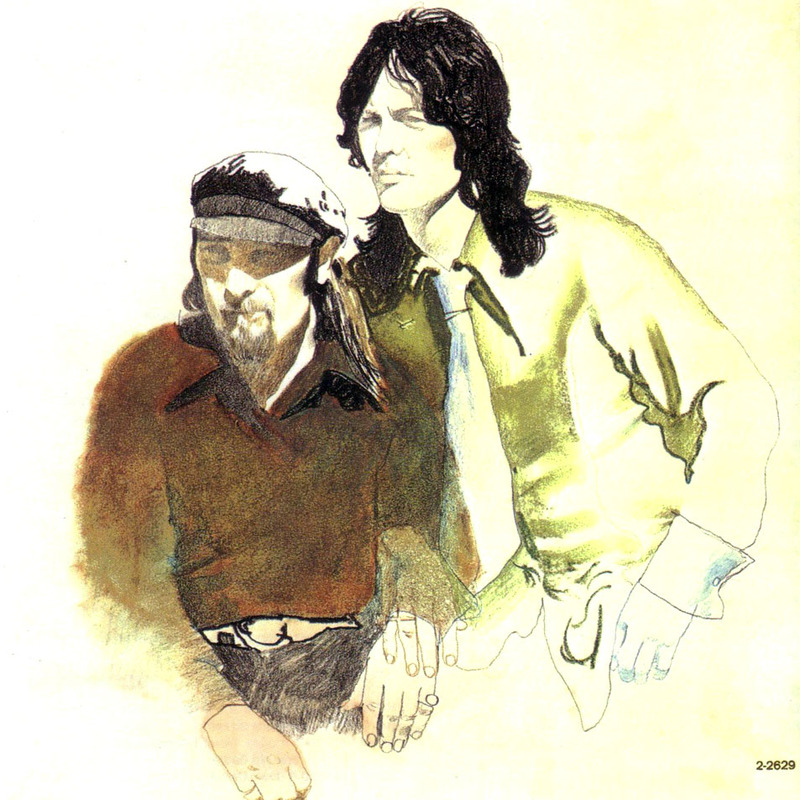 From there, the sky was the limit with the hits “Diamond Girl,” “Get Closer,” “We May Never Pass This Way (Again)” and “Hummingbird.” While I was a huge fan of their records, the duo lost me with the release of the 1974 album “Unborn Child” and it’s stance against abortion. They broke up in 1980 and have reformed sporadically over the years. They are long overdue for a reunion. 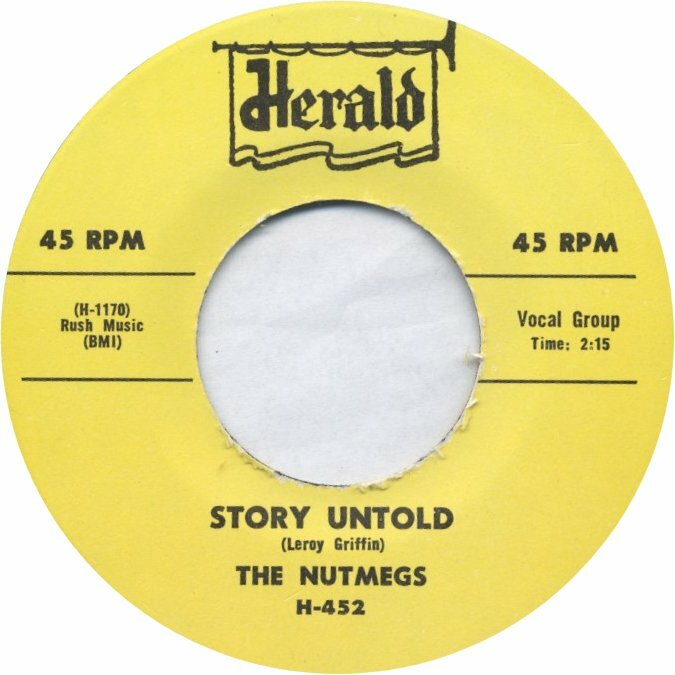 Like most people my age, my first exposure to this Arthur Hamilton-penned track was this rocking Joe Cocker version from “Mad Dogs And Englishmen.” So you can imagine my surprise when I later discovered that the song was originally a sultry ballad that had been a top-ten hit in 1955 for Julie London. The song was originally written for Ella Fitzgerald to sing in the 1955 film “Pete Kelly’s Blues,” but it was dropped from that production. Fitzgerald didn’t get around to recording it until her 1961 album “Clap Hands, Here Comes Charlie!” By that time, the song became closely associated with London. 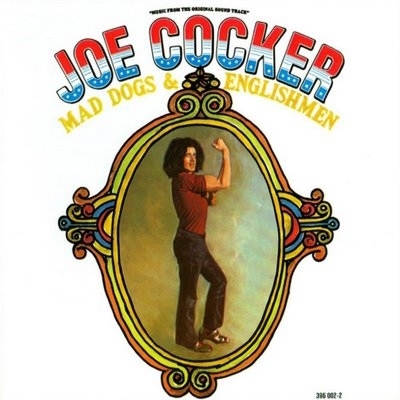 Which brings us to the “Mad Dogs And Englishmen” version of the song. Cocker and company totally recast the song as a barroom rocker on their 1970 tour. The “Mad Dogs” band consisted of Leon Russell, Chris Stainton, Don Preston, Carl Radle, Jim Keltner, Bobby Keys, Rita Cooldige, Jim Price and many others. The group was assembled by Leon Russell after Cocker found out that instead of a few weeks off after a grueling tour, he was booked for another several months on the road and needed a band. After a few days rehearsal, it was decided that they should film and record the tour for release. The album was recorded over four shows in two days at the Fillmore East in New York City on March 27-28th 1970. Six years ago, Hip-O Select released all four shows in their entirety as a limited edition six CD set. 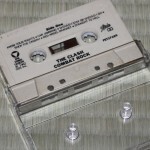 It’s hard to believe that it’s been 30 years since The Clash released their last great record “Combat Rock,” and while the record was considered pretty cutting edge upon its release, parts of it haven’t aged well at all. Sure there’s the cheap ‘80s production which can be annoying (but is probably due for some kind of hipster revival in the near future), but tracks like “Overpowered By Funk,” “Death Is A Star” and “Red Angel Dragnet” don’t seem fully realized (and never really did) and sound somewhat clunky today. That said, there is a clutch of classics to be found here: the requisite hits “Rock The Casbah” and “Should I Stay Or Should I Go” that still sound good today, and classic album cuts like “Straight To Hell,” “Car Jamming” and this track. 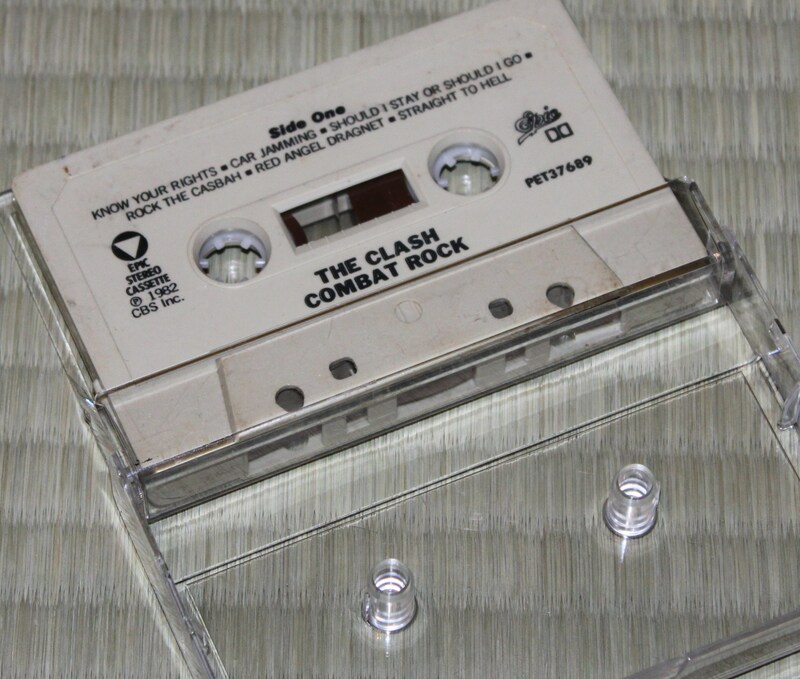 I happened to see The Clash perform five times back in the day, but perhaps the most memorable of the performances was when they played the Pier in New York City in 1982 and were joined by Allen Ginsburg to reprise his role on this song. 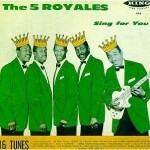 If ever a group deserved to be in the Rock ‘n’ Roll Hall Of Fame, it should be The 5 Royales. Not only were they a pioneering R’n’B and Doo Wop vocal group, but they had one of the greatest songwriters of the era in Lowman “Pete” Pauling as a member. 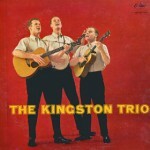 Pauling wrote most of the Royales’ material and many of their songs went on to be big hits for others. 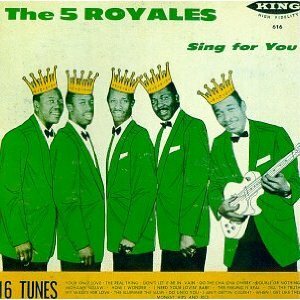 The 5 Royales were formed in North Carolina in the early 1950s and consisted of Lowman “Pete” Pauling, Jimmy Moore, Obadiah Carter, Otto Jeffries and Johnny Tanner. They recorded for King Records and had chart success with songs like “Monkey Hips And Rice,” “Baby Don’t Do It” and “Somebody Help Me.” But it was the songs that were penned by Pauling and recorded by others that really made them legends. The group was responsible for introducing this song that later went on to be a big soul hit for James Brown. They also recorded the original versions of “Dedicated To The One I Love” made famous by both The Shirelles and The Mamas & The Papas, and “Tell The Truth” which was originally recorded by Ray Charles. You would be hard pressed to put into words the seismic influence Patti Smith’s first album, “Horses,” had on me when I first heard it in 1975 at the age of 14. It was like a door opened into uncharted territory and I eagerly walked through it. As it turns out, she had a hard time making subsequent records that even approached the magnificence of her debut. Sure, records like “Easter,” “Radio Ethiopia” and “Wave” had their moments, but none of them were consistently good from beginning to end. Then she laid low for nine years and emerged with “Dream Of Life” with its anthem “People Have The Power” in 1988, which in my opinion was a huge disappointment. 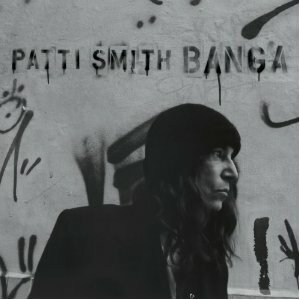 The records that followed…”Gone Again,” “Peace And Noise,” “Gung Ho” and “Trampin’” all had their moments, but the hold Patti Smith once had over me was forever lost. What was once mystical and poetic, now made my eyes roll up into my head. I refer to this as the Jim Morrison syndrome. So here we have the new album, “Banga,” which is her most consistent record since her late ‘70s heyday. 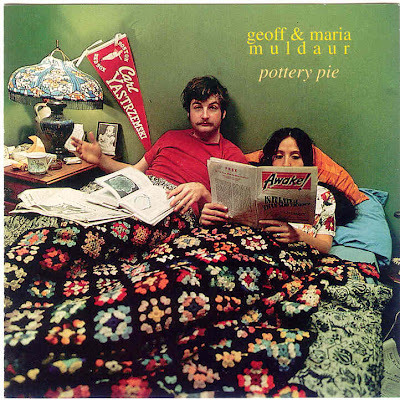 Some of the questionable poetry still remains, but it doesn’t overpower the proceedings and many of the songs have strong melodies that couch the lyrics. I love the feel of this song…it’s got some old school doo wop and soul in its blood brought out by the camaraderie of her longtime band mates Lenny Kaye and Jay Dee Daugherty from the old Patti Smith Group. 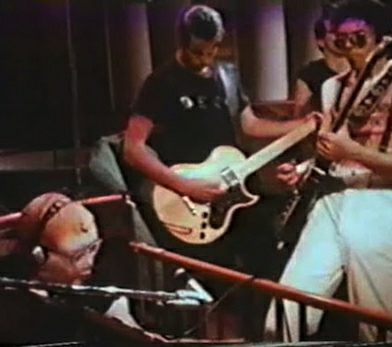 They’re augmented by bass and keyboards player Tony Shanahan, who also co-wrote this song. They took their name from Connecticut, “The Nutmeg State,” where they hailed from and cut their teeth on the very same street corners that also produced The Five Satins. 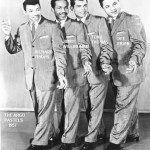 Like so many of the Doo Wop groups of the 1950s, The Nutmegs had an ever-changing lineup centered on a lead vocalist, and in their case it was founder Leroy Griffin. After scoring a number two R’n’B hit with this song in 1955, The Crew Cuts rushed out a competing cover version of the song which went up to number 16 and stymied the progress of the original on the charts. The group then got a shot a performing at The Apollo Theater in Harlem where controversy struck when they were accused of doing a suggestive dance on stage and were forced to apologize to DJ Allan Freed before they would gain any more bookings. 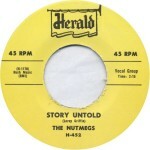 While this was their biggest hit and soon after the hits began to dry up, in the 1960s a New York City record label called Times Square began releasing a capella Nutmegs demos recorded in the 1950s creating renewed interest in a capella recordings and scoring several more regional hits while igniting a new subgenre of Doo Wop music. 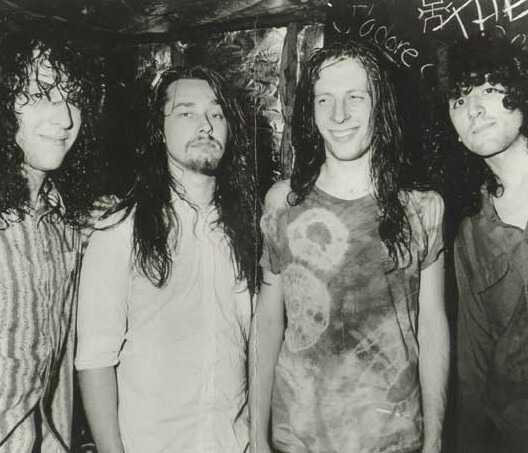 This track is another from Rhino’s essential “Doo Wop Box” sets. You can’t help but hear the profound influence this music had on the likes of Frank Zappa, Lou Reed and Paul Simon to name but a few. Over the last few days I rediscovered the first of the three Doo Wop box sets released by Rhino Records between 1993 and 2000. That’s over 300 Doo Wop recordings – most of them classics…some not – spanning 12 CDs. The first box is by far the best because it has all the classics that anybody who is remotely interested in Doo Wop would want in one place. What makes the other two box sets pretty darn near essential are all of the undiscovered gems you’ve never heard before. There is so much great listening between these three box sets. Today’s song of the day was recorded by The Pastels back in 1957. The Pastels consisted of lead DiFosco “Dee” Erwin, first tenor Richard Travis, second tenor Tony Thomas, and baritone Jimmy Willingham. They were all stationed at a U.S. Air Force base in Narsarssuak, Greenland until being transferred to Washington DC in 1957. 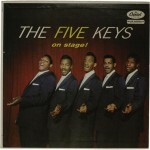 This, their first and only hit reached the R&B top five in 1958 and number 24 on the Billboard pop charts. They would never reach those heights again, but with an absolutely perfect record like this one…they already left their indelible stamp on the history of Doo Wop music. 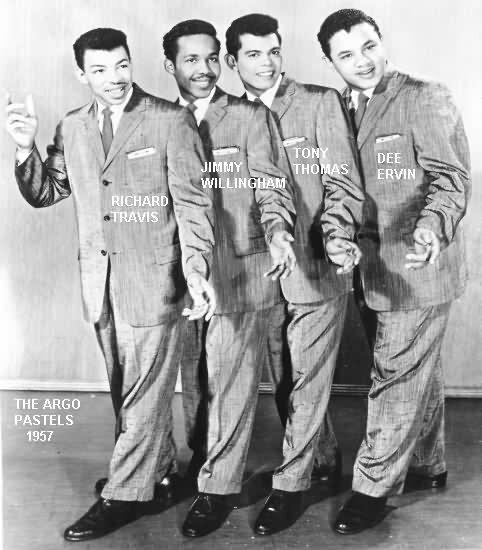 They were originally formed as The Sentimental Four out of Hampton News, VA and they consisted of two sets of brothers: Rudy and Bernie West, and Raphael and Ripley Ingram. 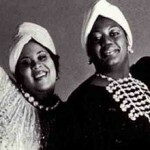 Their first recordings were for the Aladdin Record label although the line-up changed when Rudy West went into the Army. At this point they added Maryland Pierce and Dickie Smith on vocals and changed their name to The Five Keys. Several line-up changes ensued until Rudy West returned from the army and to the group and they signed to Capitol Records where they had their greatest success. While this 1955 song wasn’t one of their big hits like “Ling Ting Tong” and “Wisdom Of A Fool,” it is still considered one of their best featuring lead vocals by Maryland Pierce with Rudy West on the answer vocals. 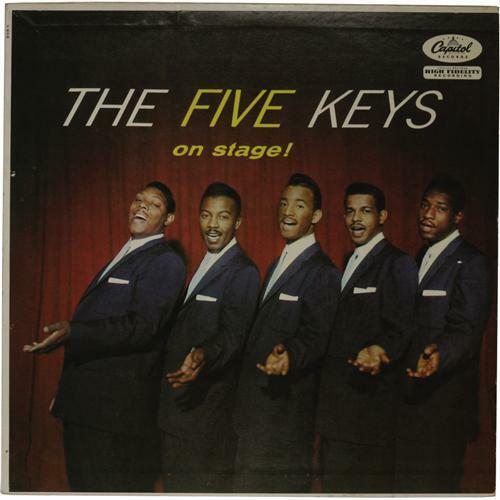 Controversy struck when Capitol Records released the album “The Five Keys On Stage.” Apparently, some mistook Rudy West’s thumb for a phallus (see the first guy all the way on the left side of the cover) and the cover was recalled and airbrushed. If you look closely on this photo, you can see the offending appendage. 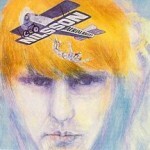 So yesterday it was Neil Young…today it’s the Beach Boys. Perhaps, I’m getting old when it’s the music from my childhood heroes that still turns me on. That’s not to say that there isn’t plenty of current music that I like, I just don’t see the point in ignoring my heroes because they’re old…besides it’s them that are getting older, not me. 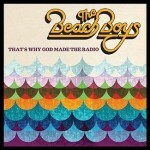 So here we have a new release by the remaining members of rock’s first dysfunctional family, The Beach Boys. A group who’ve had their share of drama…much of it played out in the media over the past 20 or so years. For a bunch of old guys, they sure do act like babies. Like yesterday’s Neil Young album, my expectations were mighty low for this record, with “the boys” not being able to stay in the same room over the years unless that room was in a law office, how much camaraderie could we expect on their first long player together in 20 years? And let us face the facts, Brian has pretty much been a spent musical force releasing Disney and Gershwin records and such over the last few years and with Mike Love consistently acting like the jerk in the media…heck he still can’t cop to the fact that “Smile” is indeed a masterpiece…certainly there wasn’t much to go on. But surprise, surprise…there’s some good stuff on this record. The harmonies are intact, and some of the songs, though inconsequential, are pretty good. 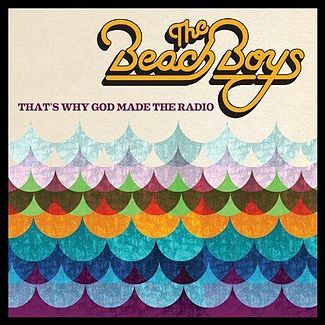 The intended track for today’s Song Of the Day was “From Here To Back Again” a gorgeous track from the new album, but it seems The Beach Boys are pretty good at protecting themselves and there were no audio samples of the track on YouTube. In that song and on “Pacific Coast Highway” and “Summer’s Gone,” the two songs that follow this on the record, the boys revisit the essence of their “Pet Sounds” days with a pretty good approximation of that sound which shows that Brian still has some musical mojo left after all. There are goodtime vibes harking back to their glory days on standouts like the title cut, “Strange World,” “ Isn’t It Time” and “Spring Vacation.” Some of the songs are corny and a bit hackneyed, but overall this record is not the embarrassment I thought it would be. Major kudos go out to Jeff Foskett who has been the guiding force toward making Brian’s solo concerts over the last decade sound as good as they do due to his vocals and guitar playing. It kind of makes me sorry I didn’t go see them when they came to town last month. 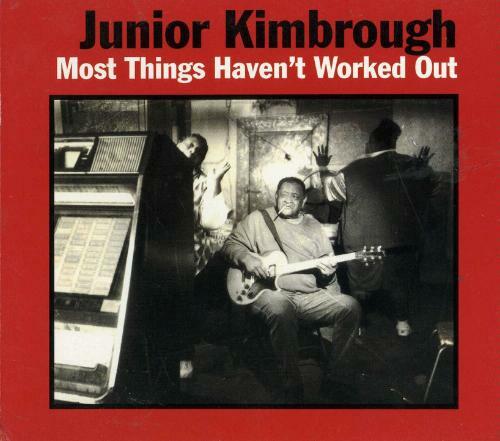 This ain’t your daddy’s doo wop…nor is it your sister’s “American Recordings” by Johnny Cash. What we have here are four crusty guys digging up some crusty old tunes and playing them the only crusty way they know how to. Nothin’ fancy…one take and done. You can practically feel the camaraderie and familiarity these guys have with each other in every note. This Neil Young sounds awful on paper. 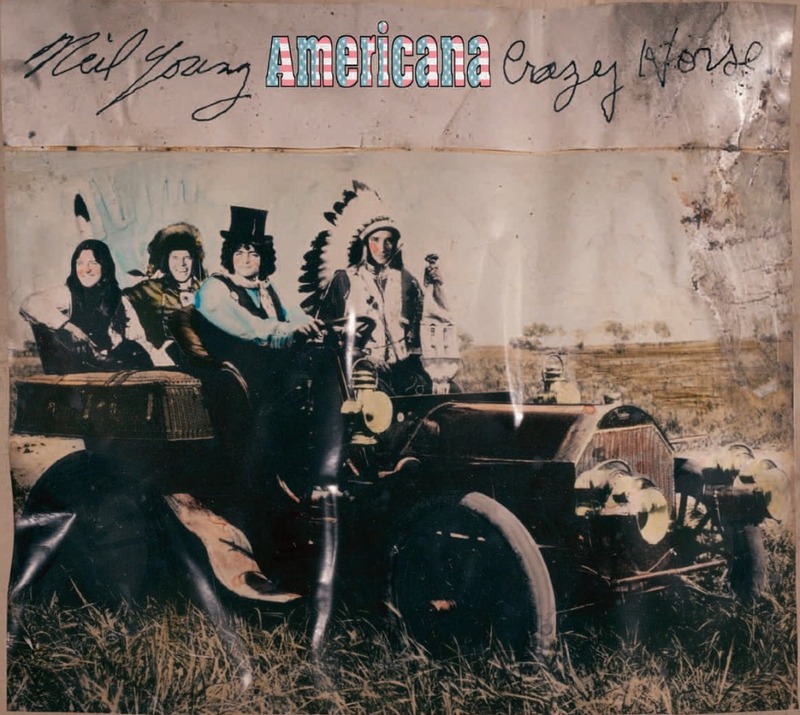 When I first heard about the premise of him doing old Americana songs recast for Crazy Horse, I though it was gonna be awful…and on some of the tunes here, I was completely right. 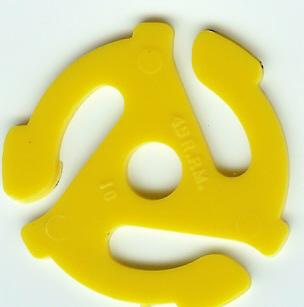 But the record does have its charms, and it certainly has lots of crunch. On this track, Neil and the Horse ride back into Neil & The Shocking Pinks territory with a cover of The Silhouettes’ doo-wop classic, only this version is rickety, a bit clumsy and totally charming. Some of the tracks work really well…”Clementine,” “Gallows Pole,” “High Flyin’ Bird,” “Travel On” and “Jesus’ Chariot”…while others are completely dreadful…”Oh Susannah,” “Tom Dula,” “This Land Is Your Land,” “Wayfarin’ Stranger” and “God Save The Queen.” Note to Neil: Everything you do isn’t pure genius. Just because the tape is rollin’, doesn’t mean you have to release it. This record would have made a great EP. 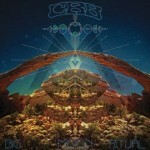 So, does it pass my Neil test, meaning will I play this album a few months from now? 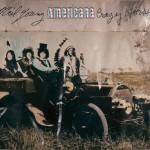 Probably not…there’s only one Young record released in the last decade that I go back to and that’s “Prairie Wind.” Neil needs an editor…but in the meantime, keep on rockin’ and releasin’ the tunes. It gives me something to write about. Former art school students have a funny way of expressing themselves. Like naming an album “Fear Of Music” and including a song like this one that conjures deep seated feelings of dread and ill will. But it doesn’t end there…Byrne numbly mumbles throughout this record asking himself questions like “What is happening to my skin? Where is that protection that I needed?” in another song. 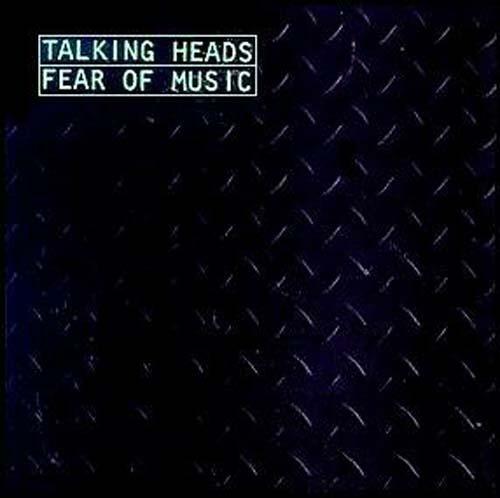 “This ain’t no party…this ain’t no disco…this ain’t no fooling around” is another rally cry that adds to the grim picture on Talking Heads’ third aptly titled 1979 platter. It’s a record where “Heaven is a place, a place where nothing ever happens”…albeit, the Heaven in question here is not a final resting place, but a club. 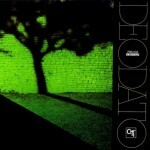 Producer, Brian Eno was once again invited to this party and the growth between this album and the one that came before it felt on all levels. The Heads’ palate expanded to include African rhythms and straight-ahead funk and disco. 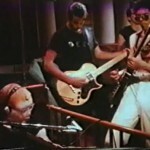 While this was the last album to be created by the core quartet, the song “I Zimbra” pointed towards the future with an expanded lineup that featured numerous percussionists and Robert Fripp on guitar. In other places we’re treated to songs with titles like “Drugs,” “Mind,” “Paper” and “Electric Guitar.” Oh and there were hits too…”Life During Wartime” and “Cities” that filled dance floors around the world. 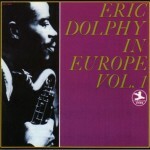 Today, I had the chance to play all three albums of Eric Dolphy’s Copenhagen concert from September, 1961. I haven’t played these recordings in many years and it was great to get reacquainted to the mastery of flute, saxophone and bass clarinet that was Eric Dolphy. The music has been released in all different ways over the years…first it was issued as three separate albums on Prestige (7304, 7350, 7366) under the title “Eric Dolphy In Europe, Volume 1,2 & 3.” My version of the three albums comes in a double album consisting of Volume 1 & 3 under the title “Copenhagen Concert” released in 1973 and an early 1970s straight reissue of the original “Volume 2″ album. The quartet consisted of Ben Axen on piano, Erik Moseholm on bass and Jorn Elniff on drums. I really wanted to post their version of the song “Hy-Fly” from the same concert which, true to its title, is a tour-de-force flute-bass duet which really does fly for 13 minutes, but I couldn’t find it on You-Tube. But if settling is listening to the group’s take on Sonny Rollins’ “Oleo,” than settling doesn’t always mean settling for second best. I first became aware of Eric Dolphy through the Frank Zappa track that paid homage to him called “The Eric Dolphy Memorial Barbecue.” While attending college in the early 1980s, some of our friends had an annual “Eric Dolphy Memorial Barbecue” in the backyard of the house they rented each year which I was fortunate enough to attend where I was exposed to some of the coolest jazz I had ever heard up to that point. This was Neil Diamond’s first single after signing with MCA records back in 1968. Diamond had already scored numerous hits for Burt Burn’s Bang record label and was now ready to debut on the MCA distributed UNI label. The song highlighted a far more personal side of Neil Diamond with its autobiographical lyrics and adult oriented orchestral arrangements. 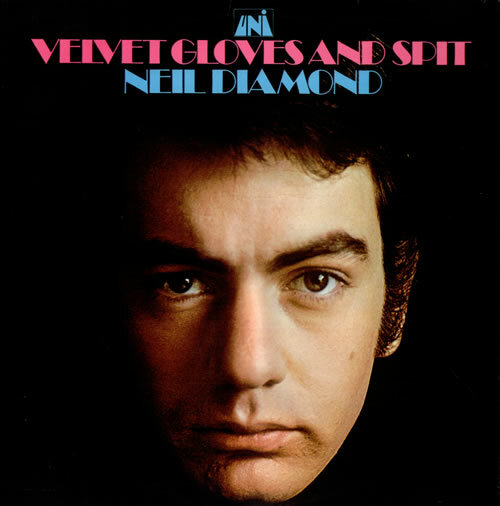 It appeared on the album “Velvet Gloves And Spit” which also included the singles “Two-Bit Manchild,” “Sunday Sun” and a remake of the song “Shilo.” The album also included the most unhip and embarrassing song in the entire Neil Diamond canon, the anti-drug “Pot Smoker’s Song” in which drug addicts share their bizarre stories.